Bishop Glenn Collier and his wife, Linda both have an intimate heart for the presence of God and for seeing his people come into their full callings in Christ. In addition to holding a B.A in Sociology from LaSalle University and serving as Bishop of New Harvester International Ministries, Glenn is also a Bishop with the Fellowship of International Churches. He has authored two books entitled I Hunger and Intimacy In God. Glenn and Linda have over 30 years of ministry experience and both have honorary Doctorate of Ministry degrees from Agyinasare Leadership College, for outstanding local and international Ministry. They have a passion and anointing to raise up new ministry leaders to take responsibility for advancing the Kingdom of God in this generation. Glenn and Linda have been married 37 years and God has blessed them greatly with six children, six grandchildren and many spiritual sons and daughters in ministry. Executive Leadership Pastors, Dr. James & Vanessa Leak, oversee Advanced Biblical Studies, Ministry Directors and Youth & Children's Ministry, respectively. James holds a B.A. in Strategic Communications from Hampton University; a M.A. in General Management from Regent University; and a doctorate in Organizational Leadership from Argosy University. Vanessa Leak holds a B.A. in Fine Arts from the College of William & Mary. 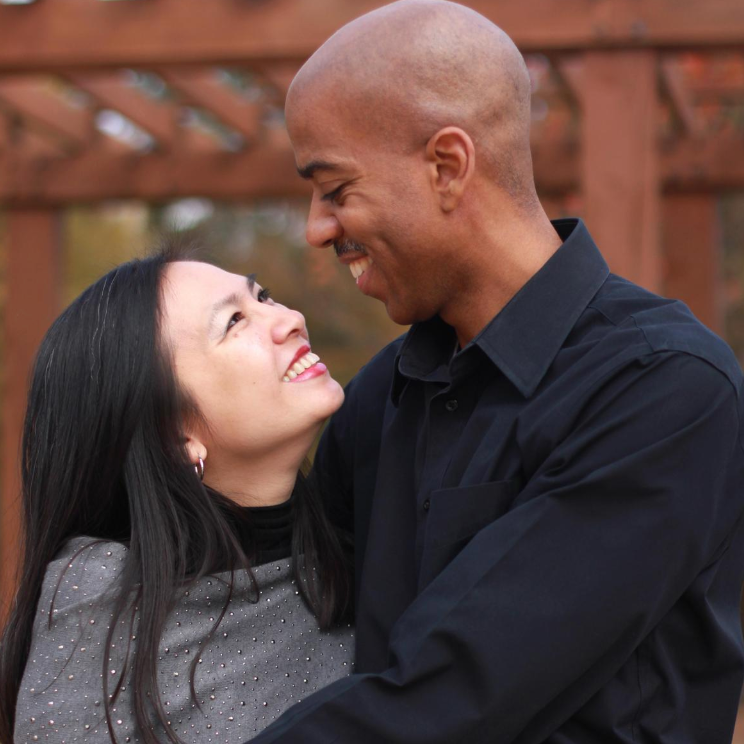 James and Vanessa have over 20 years of ministry experience and serve with a heart of compassion and love that ministers healing and wholeness to singles, families and to all that encounter their ministry. James and Vanessa have been married 18 years and God has blessed them with 7 children who all love and serve God with them. Executive Leadership Pastors, Roosevelt Delany & Rachel Johns, oversee Men’s Ministry and Intercessory Prayer Ministry, respectively. Pastor Delany also oversees Giving and Finances and NHIM House Churches. Both Pastor Delany and Pastor Rachel have extensive ministry experience in men & women ministries, praise & worship, VBS and Sunday Biblical Studies, deacon responsibilities, prayer & intercession ministries, prison ministry and administrative responsibilites. Pastor Delany is Chaplain for the Atlanta Fire Department and Pastor Rachel is Chief Intercessor for New Harvester International Ministries. Both are key members of the NHIM missionary team, advancing the gospel of Jesus Christ around the world. Jacqueline Baxter-Hollins is Pastor of NHIM’s House Church, Arise, in Duluth, GA and a member of the NHIM Intercessory Prayer Team. She is the Founder and President of Women of P.O.W.E.R. (Prayer, Obedience, Worship, Exhortation, Revelation) Outreach Ministry, a ministry that imparts healing and wholeness into the lives of hurting and broken women through the catalysts of Preaching/Teaching of the Word of God, Prayer Gatherings, Prayer Breakfasts, Prophetic Prose and Creative Writing. Jacqueline is also the Founder of Marriage: Covenant As God Intended, a ministry of intercessory prayer for the healing, reconciliation and restoration of marriages. She has a Associate of Science degree in Healthcare Management and pursuing her B.A. degree at Liberty University. She is a self-published author of the book entitled Restoring Intimacy: Spiritual, Marital and Sexual. JacQuelyn Hart is Pastor of Greater Faith NHIM House Church in Gainesville, GA. She has taught youth VBS class, directed Singles Ministry, assisted in Sunday Bible School studies and has led in evangelistic outreach ministry. She formally pastored Faith Outreach Ministries and is the founder of Inner Strength Ministries for women. Kevin & Courtny Boston serve NHIM youth and young adults, ranging from middle school to college age. They have also served in missions and evangelism in the local community with The Awakening 770 ministry, as well as in international ministry in the Philippines. Courtny is also a key member of the NHIM Intercessory Prayer Team. She studied Business Marketing at Georgia State University and has excelled in the marketplace, receiving numerous awards and recognition for outstanding accomplishments in sales. Kevin has worked many years in the restaurant industry, managing, opening and establishing new restaurants. In 2017, he transitioned to the IT Industry and is currently excelling in both knowledge and his position. Quanisha Wright graduated top of her class and holds a B.S. degree in Biochemistry and a minor in Spanish. She currently works as a Laboratory Scientist and Medical Assistant and she also plans to pursue her Doctorate of Osteopathic Medicine, where her goal is to transform lives by the power of the Gospel through medicine. She currently serves as a Director on the NHIM Youth Leadership Team and is a key member on the NHIM Intercessory Prayer and International Missionary Teams. Sha-Von Valentine graduated from Virginia Commonwealth University with a B.A. degree in English. She is currently pursuing her Masters of Arts in Teaching degree and plans to also pursue her Doctorate in Curriculum and Instruction. Sha-Von is a Language Arts / Special Education teacher at an alternative high school, fulfilling her passion of providing hope and direction for At-Risk youth. She is also a spoken word artist that uses biblically sound poetry to testify of an Awesome God. In addition to using her gift of poetry, Sha-Von also serves as a member of the NHIM Praise Team and Director of the Dance and Creative Arts Ministry. Joy Collier graduated from Georgia State University with a B.A. degree in Computer Information Systems and currently works as an Junior System Engineer. She currently serves NHIM as Director of Programming, Website & Technology, Marketing and Sound. New Harvester International Ministries, Inc. (NHIM) is a multi-cultural expression of consecrated disciples of Jesus Christ who, in reliance upon the power and guidance of the Holy Spirit, evangelize and model the Kingdom of God in our homes, at our workplaces, and in designated communities throughout the world. "This is Grayson Santin in bayombong, Philippines. I came to the conference at Tar-An yesterday and I was so much empowered. My little brother Eric was soo sick and I prayed to God to heal him. I brought him to yesterdays healing conference and when Bishop Glenn Collier called for all those who were sick, I brought my little brother for prayer. My brother is now ok and stronger than ever before. Thank God for healing and we hope Rev Agusto will bring Bishop Glenn Collier again."